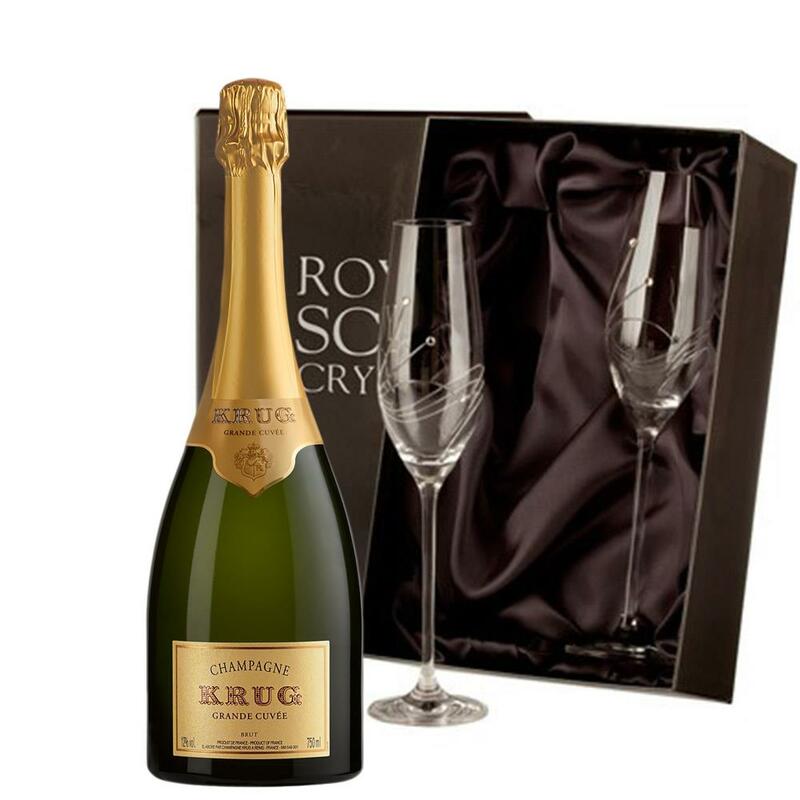 This set includes 2 x Beautiful gift boxed Swarovski Crystal Encrusted Champagne flutes and one Bottle of Krug Grande Cuvee Edition 166 75cl Champagne. Please note the Bottle of Champagne is a separate item from the Flute set. This bottle of Krug Grande Cuvée that is displaying the edition on the label, a pattern that Krug have now adopted to show that base vintage of each Grande Cuvée and is marked on the front label. This is the 166 creation of Krug Grand Cuvee which is based on the driffrent vintage, the oldest wine is from 1990 and with 183 wines from 12 vintages to make the Krug signature Grande Cuvée. In this early harvest year aromas were more impressive than taste. Thus the reserve wines lend the complexity, roundness, body and length which were missing. This edition was disgorged in Summer 2015 so now with more post disgorgement bottle age this Grande Cuvée is starting to show more of its potential with some of that trademark creaminess just starting to shine through. Every glass of this bottle of Krug Grande Cuvée is the fruit of more than 20 years of patience and crafting. In this early harvest year aromas were more impressive than taste. Thus the reserve wines lend the complexity, roundness, body and length which were missing. 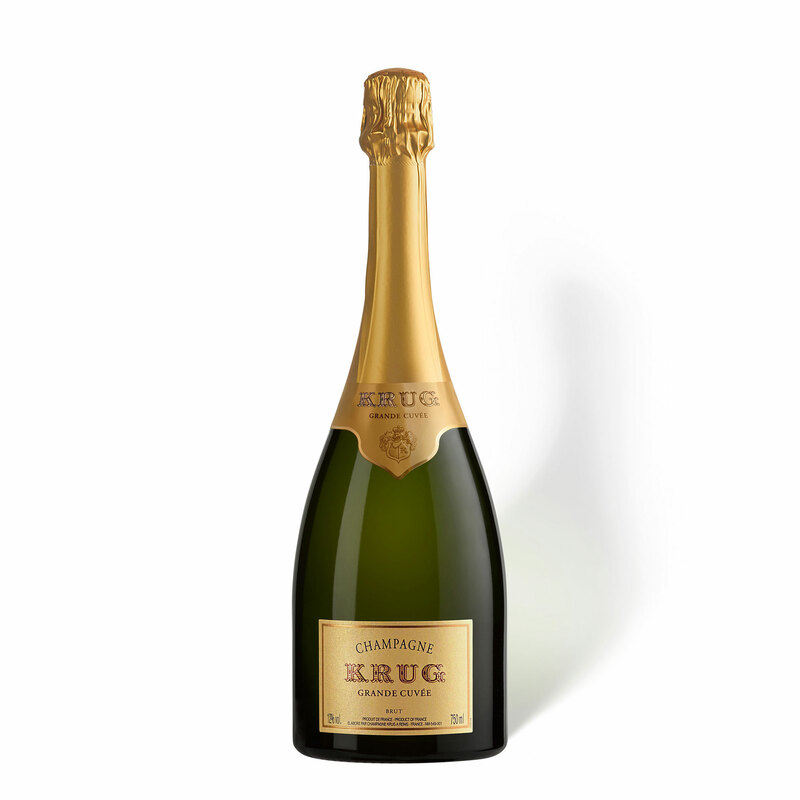 The final composition of this edition of Krug Grande Cuvée is: 37% Pinot Noir, 32% Chardonnay and 31% Meunier. You can also add chocolates, glasses, a gift box or a balloon to make a gift set no one will forget.